Accurate and realistic. Contains a complete starting dose of 5g Hydroxocobalamn (simulated), IV Administration Set, transfer spike, and Quick-use reference guide. 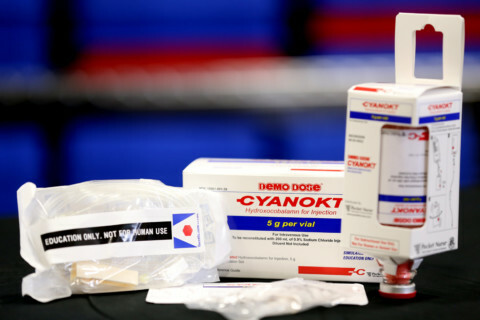 Practice dosing and administration technique to improve first response and reduce medication errors. 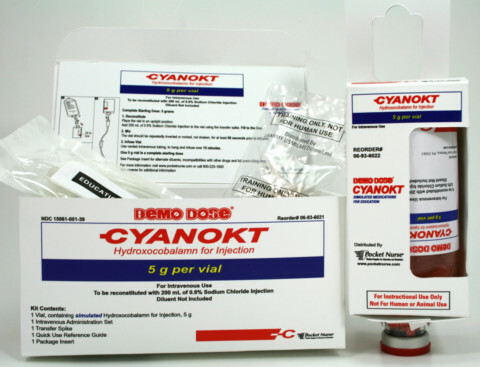 The new SIMULATED CYANOKIT can be used in scenario-based training, is economical and disposable. Contact FACET LLC for more information about this product.